Born in Pelham, New York and now living in Nashville, Cavaliere has had an excellent career which has spanned 50 years. In addition to his work with The Rascals, he has recorded several solo albums and produced other artists such as Laura Nyro and Jimmie Spheeris. Currently, he tours with his band, Felix Cavaliere’s Rascals, which plays about 60 shows per year. After The Rascals broke up in the early 1970s, Cavaliere began his solo career, and he has since recorded seven solo albums: Felix Cavaliere (1974), Destiny (1975), Treasure (1977), Castles in the Air (1979), Dreams in Motion (1994), Nudge it up a Notch (2008), and Midnight Flyer (2010). Notably, The Rascals were inducted into the Rock & Roll Hall of Fame in 1997, and Cavaliere & Brigati were inducted into the Songwriters Hall of Fame in 2009. They’ve also been inducted in the Vocal Group Hall of Fame, and their hit “Groovin’” has been inducted into the Grammy Hall of Fame. 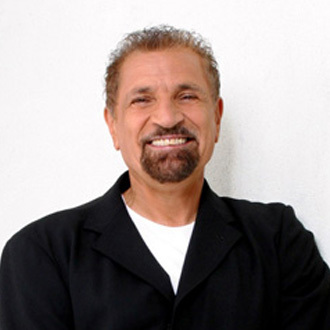 We are pleased to do this new Q&A interview with Felix Cavaliere. He tells how The Rascals got started, how he co-wrote their big hits, and his recent projects. DK: You’ve been inducted into both the Rock & Roll Hall of Fame and the Songwriters Hall of Fame. How does it feel to be recognized for these great honors? Felix Cavaliere: Well, it really feels good, obviously. Especially the Songwriters Hall of Fame, which is a unique group. It’s not televised, it’s not publicized as much, but it’s very cool because of the people who are in there. And of course, the Rock & Roll Hall of Fame is what everyone knows. It’s kind of a big deal as far as the public is concerned…they love it. [I do think] that there’s so many people who are really deserving of being in there, who aren’t in there yet. But I’m proud to be there…it’s a select group. 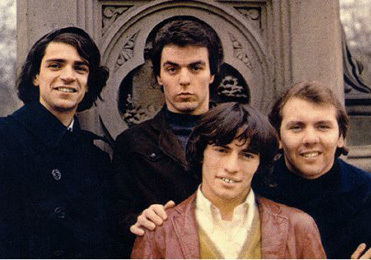 The Rascals in the late 1960s. Piotured left: Felix Cavaliere. DK: Going back to The Rascals in the ‘60s, how did the group form? I read that you were first in a group called Joey Dee & The Starliters. Cavaliere: I was working with Joey Dee, and how should I put it nicely—I was rejected by the United States military (laughs). So at that point, in those years, we really had a difficult time realizing our future because we were getting drafted. When the government did not want me—it was fine with me—I started a band. I started calling up these guys I knew. I had worked in Europe with Joey Dee and I’d seen the Beatles before they came to the United States—we worked with them in Frankfurt, Germany, and in Sweden. And I really thought, Man, I know I can do this (start a rock band). So I called up the other guys, and said, “Would you guys like to form a band? Let’s go out there and do it.” I basically asked everybody to come on and try this with me. And the good news was that it took us only six months to have a record deal, which is unheard of today. DK: You wrote most of the Rascals’ hits with Eddie Brigati. How did the two of you write together? Did one of you focus more on the music and the other the lyrics? Cavaliere: Basically, I wrote the titles of the songs and the music for the songs, and I gave Eddie a good template, and he filled in the verses. I did the choruses and the titles, but I felt he was better at telling the stories verbally than I was. DK: So would you say one of Eddie’s main skills as a songwriter, was to tell the stories, that he was a good lyricist? DK: Your #1 hit “Groovin’” still sounds great today. How did you and Eddie write this song? Cavaliere: What happened is, you know, musicians work primarily on Friday and Saturday nights. And when you have a romantic situation, [working weekends] kind of interferes with everybody else’s schedule who are not musicians. They usually have Friday and Saturday off. So Sunday afternoon is the only time I can be with my significant other. I just felt like…I’m gonna write a song to make amends for the fact that we’re always busy on weekends. So [I wrote the line] “Groovin’ on a Sunday afternoon.” It was really interesting…a lot of people relate to that in different ways, like a day off, picnics. But that’s what it was. DK: You wrote another hit song that had a nice, positive feeling: “A Beautiful Morning.” So was it a beautiful morning when you wrote that song? Once Upon A Dream. Felix Cavaliere speaks in the intro. Cavaliere: Well yes. At the time, we were number one in America with another record, and we were in Hawaii. And I’m very happy to say, [that Hawaii] was a real stronghold for The Rascals. [The fans] loved us in Hawaii. So we were out there, and I said, “Let’s write a song that shows this kind of blissful state—you’re madly in love, you’ve got a number one record, and you’re in paradise on a beautiful island. Let’s see if we can write something to convey this feeling to people. And it was just like a heartfelt outpouring of joy. DK: Another great Rascals song is “People Got To Be Free,” which is more of a message song. What inspired you to write this song? Cavaliere: I was working for Bobby Kennedy’s (presidential) campaign, and you know that Robert Kennedy got assassinated. I just felt compelled to say something. The record company didn’t really like the idea, but they let it [be released as a single] and it became number one in all the places that were oppressed, such as South Africa, Berlin and Hong Kong, So I was always very proud of that. [Writing this song] was a direct result of the assassination. In my eyes, Bobby Kennedy was an idealistic person who had visions for how our country should be, and his brother (John Kennedy) as well. So I was attracted very much to that. I just thought that it would be a good direction for me, and the United States of America. DK: After The Rascals had a great run of hits, the band eventually broke up. Can you tell me why the band decided to break up? Cavaliere: Well, the band didn’t decide—Eddie Brigati decided to leave. And that really was the demise of the whole thing. I don’t know why he decided to leave, other than he just couldn’t deal with it anymore. But he left, and I always used the analogy…it’s like if one of your tires on your car decides to leave. All of a sudden, you really can’t go (laughs). And we never really knew why. He didn’t pursue another career as a soloist…he just left. So it kind of disrupted the flow of energy that we had in a positive direction. DK: After the Rascals broke up, you recorded several solo albums. For Rascals fans who would like to explore your solo work, which of your albums would you recommend they check out first? Cavaliere: Well, even though The Rascals didn’t officially break up (after Eddie Brigati and guitarist Gene Cornish left)—we went to Columbia Records and we did an album called Peaceful World, which I really enjoyed because it carries like a badge of honor. In Japan, they had a vote: Which album would you like to see made into a digital CD status? Because it was all analog. And that was the album that was chosen. So I would start with Peaceful World. I just continued to make albums, but the problem is, that once you’re known as a Rascal, it’s pretty hard to become a Felix (laughs). 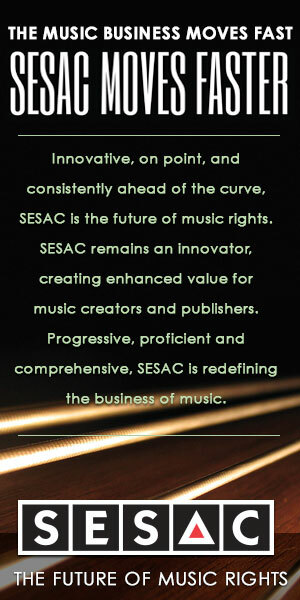 So I just enjoy making music, and the bottom line being that I will continue to do so, hopefully. DK: In 2012, the Rascals reunited for a Broadway show called Once Upon a Dream that was directed by Steven Van Zandt (of the E Street Band). How did this show come together? Cavaliere: It’s kind of a long story. To shorten it, it started with a cancer benefit to honor Kristen Ann Carr that Bruce Springsteen and Steven (performed at). One of my daughters had cancer at that time, so when I got a call to perform with the guys, I immediately accepted. It evolved from there, and in 2012 [The Rascals reunited for a show]. It was supposed to be a one-shot, but it turned out that Steve had plans to try something different, and that’s what happened. DK: How many shows did you and the other Rascals play on Broadway? Cavaliere: We did two weeks there and then we took it on the road. [But it became a] problem, because it was too big a production to go on the road…it couldn’t support itself. But it was fun and everybody got along, and I’m happy to say that there were no arguments, no fights. DK Since the band reunited for these shows, was there talk about staying together and touring as a band? DK: I read that you do tour as Felix Cavaliere’s Rascals. Do you play a lot of shows? Cavaliere: Well, I did over 60 shows last year. I had one of the best years I ever had. I’m really happy to say, people love the music, and I’m the only one (of The Rascals) out there providing it. So I’m very happy to take up that banner, because I really enjoy being around people that appreciate and love the music. And I don’t think you’ll find many musicians who don’t like playing—I love playing. So I hope to continue. DK: I read that you’re writing your memoir. Is that true? Cavaliere: Yes. We’re just about finished with it. We’re now just collecting some photographs, and some forwards and introductions from people for the book. It’s a process that I’ve never done before. I’m hoping to get it out by this September. DK: Of all the songs you’ve written, are there a couple songs that are your favorites? Cavaliere: Not really. I really feel that each song has a purpose and a season…you know what I’m saying? Like in the springtime I love “A Beautiful Morning.” And then when I look at the news, I love “People Got To Be Free.” They’re all kind of like children, and I’m just very thankful that they’re still around.